. In Belarus the great attention is given to youth. The government annually develops programs on youth support.In each city there is a set of the youth organisations, capable to help teenagers. But not all of them are advertised in circles of young men. Often the teenager does not know where to put himself during free time. And more often in this case he starts to communicate with difficult teenagers who often drink, smoke cigarettes, and sometimes use drugs. We consider that all these could be corrected, if our youth organisations and associations have been more advertised. Therefore the purpose of creation of our site is to tell about the youth organisations and associations, their roles in the course of youth socialisation in our country and our native city Zhodino, and also to involve in cooperation the youth from other countries, for the purpose of dialogue and an exchange the experience. Now we participate in the international Internet project "Learning circles" which unites the youth of the various countries for the purpose of achievement intercultural mutual understanding by means of dialogue and an exchange of ideas, using the possibilities of modern computer and information technology. 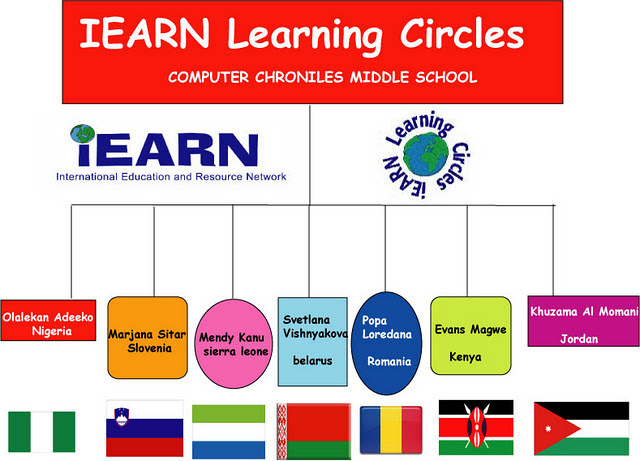 Our "circle" unites our contemporaries from six countries. We hope that this site and its possibilities will allow us to learn each other close and to answer the number of questions which excite modern youth all over the world, taking active vital position. We invite everyone to cooperation!